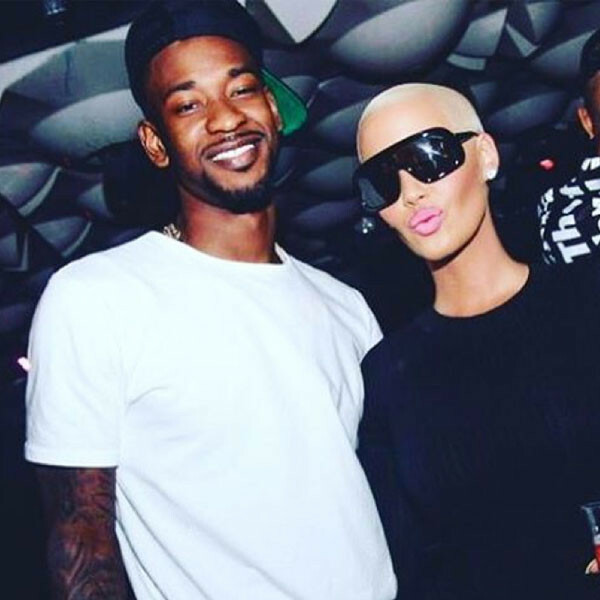 Amber Rose is dating Toronto Raptors basketball player Terrence Ross. "They have been seeing each other since All-Star Weekend in February," E! News reports..
"It's very early in the relationship and he's very young, so she is just having fun," the insider adds, "She likes hanging out with boys that she can have fun with and that's what Terrence is to her. I don't think it will develop into anything serious, they are just enjoying getting to know one another." The pair have already taken their romance to social media. Rose and Ross first sparked romance rumors when the basketball player posted a photograph of the pair on Instagram last week and captioned it, "#WCW. "She has also been out supporting her man on the court, posting pictures while courtside at Raptors games recently, and re-tweeting a video of Ross' great play earlier today.